Online Dating: Is It Worth the Risk? Online dating is truly an entertaining way to connect with people you never thought of communicating with otherwise. In fact, it often aids in finding partners who are both good-natured and gorgeous. However, the percentage of the tragic stories related with online dating has grown alarmingly. The presence of sexual abusers, hackers, cyberbullies, and criminals in online dating sites has deteriorated its genuine essence. Here, we’ve listed down some of the pros and cons of engaging in online dating sites to help you decide whether or not getting into one is worth the risk. You no longer need to visit bars or clubs to meet a potential partner. One of the substantial benefits of online dating is that people can already do away with wandering in bars or any other locations just to find a potential partner. Online dating is open to all social media users, and communications, exchanging of photos, taking calls, and messaging is possible, too. The data provided by the potential partner also helps in deciding whether or not you should meet up or date the person. You are provided with a diverse selection of a prospective partner. Millions of users are signed up on various online dating forums, making it a remarkable opportunity to select someone from a large number of potential partners. In just a single day, a user can already communicate with more than a hundred potential dates without leaving their house. You get to be surprised on your first date. 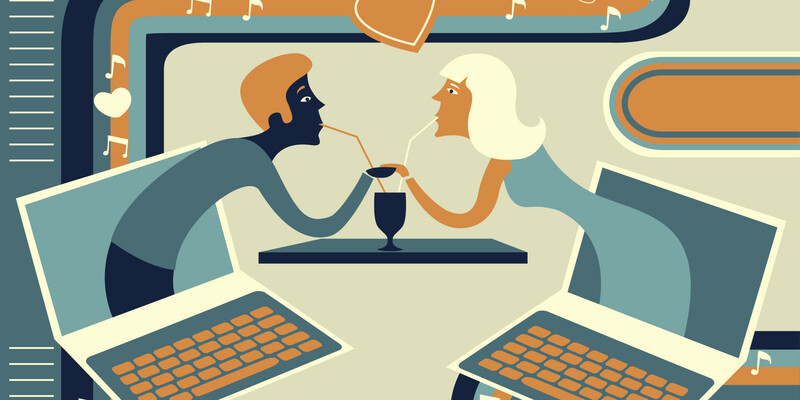 A first date between an online match is surprising and great in many ways. It provides so much potential since you already know that you have some things in common. The date may exceed your expectations, or incredibly disappoint you – especially if you’ve set higher expectations, knowing that you and the other person are a perfect match in many areas. You are not completely safe in online dating. Although online dating forums serve as a good avenue to meet new people, it’s possible for some to be less honest and portray their selves as something they are not online. It’s quite easy to fake profiles on such sites, which is why it’s crucial to exercise caution when you’re arranging to meet someone from an online dating site. A lot of people have met offline only to be physically harmed, kidnapped, or even murdered. You are not sure if the other person is really emotionally involved. Other than safety, you’re not also sure if the other person is really sincere in getting to know you better. He or she might just be playing around with you, and just wanted to meet for fun and excitement. Gaging a person’s sincerity without meeting in person is quite difficult, and by that time, it might be too late. So be careful not to fall for someone before meeting them in person. Remember, our online personas tend to be the ideal version of ourselves rather than the real one. Although joining online dating forums seem tempting because of the ease and option it provides to its users, the negative outcomes it might bring are still far more serious. Not having your date work out the day you wanted it to be is the best case scenario, but being harmed or losing your life because of your date is something that’s irreversible.